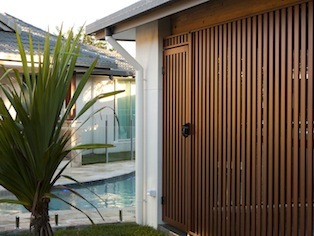 Welcome to Knotwood™ A proudly Australian owned company using aluminium and the latest technology available to create the natural look of timber finished on aluminium. By using knotwood you can have the beauty and warmth of timber without the time consuming maintenance and expense. The process is called sublimation and has been widely used in Europe for many years. 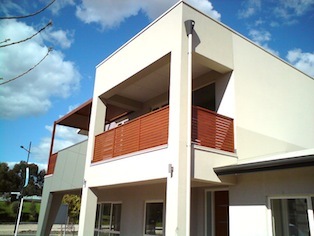 Knotwood are the Australian market leaders, installing the latest patented technology from Europe. 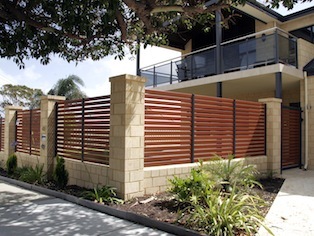 Knotwood have designed unique aluminium fencing, aluminium decking, aluminium screening, aluminium shutter and aluminium balustrade systems that do not need welding. All our products come in 20 unique Knotwood timber aluminium finishes with more to come! Or any powder coat colour. Knotwood Colours. All Knotwood products are proudly Australian, from the supply of aluminium to the unique timber look application, so when you support Knotwood you support Australian families. Knotwood aluminium fencing and screening gives you privacy and security while enhancing the beauty of your garden or yard. Using Knotwood will enhance your sense of style and add value to your home. Knotwood products give you the warmth of timber without the excessive ongoing maintenance. Knotwood’s exclusive systems have been designed for easy installation, no welding required. Knotwood uses a concealed fixing system which discreetly hides unsightly screws and rivets. Our unique ranges of accessories are colour matched to give you a seamless uniform finish. Everyone wants privacy in and around the home and with Knotwood’s aluminium privacy screens you can have as much or as little privacy as you need. Designed with security and ventilation in mind, Knotwood can create the perfect combination of design and airflow that is just right for your outdoor area. Whether you are looking for a semi private pergola screen with great ventilation or you need total privacy from the yard next to you, we have a range and style to suit. In fact, with Knotwood’s aluminium screening you are only limited by your imagination; with 20 Knotwood timber look colours and 3 slat sizes to choose from, you can create a vast amount of designs and colour combinations. 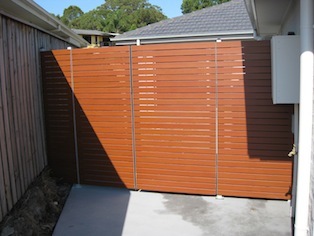 Like your fence, your gate is one of the most valuable things you will ever purchase for your home. Whether it’s a front driveway gate or side pedestrian gate, let Knotwood create a gate to suit your requirements. As with Knotwood’s aluminium fencing system, our gates have been designed with concealed fittings and completely free from welding. Don’t forget, Knotwood’s aluminium Gate system has been created to match Knotwood’s aluminium fencing, decking and privacy screen systems, so the sleek Knotwood lines can continue throughout your yard, and onto your decking and patio areas, giving your home complete uniformity. The places where Aluminium hand railings are most suited for include balconies, staircases both straight and spiral, in malls and supermarkets. Aluminium railings are also ideal for places that have frequent exposure to water. Hence hand railings made of aluminium can also be used for the decks of boats and ships. Bathrooms at big hotels require railings both in the dressing as well as bathing areas; hence Aluminium hand railings are the ideal choice for such requirements. Knotwood aluminium decking gives you the beauty and charm of timber without the constant upkeep. Knotwood decking looks good rain hail or shine year round. 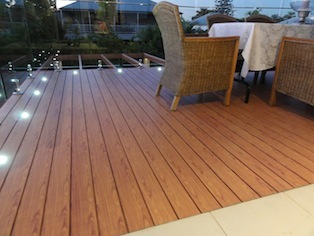 Your home will become so much more versatile by creating entertainment zones with our decking. Banish those unsightly concrete stair treads with stylish and robust Knotwood decking. Knotwood aluminium decking comes in 2 patented innovative designs, waterproof and traditional 100 series. They have a beautiful seamless appearance no unsightly fixings or nails. The decking surface is slip resistant for safety and security and because of the properties of aluminium the decking stays naturally cooler than other decking boards. 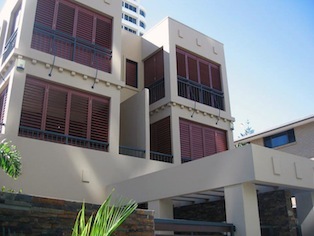 Whether you are seeking privacy or you want to block out the sun, Knotwood aluminium shutters do it all. Not only are our shutters maintenance free they are easy to clean. Timber shutters have pores that retain dust, Knotwood shutters wipe clean with a soft cloth or duster. If you have been attracted to plantation shutters but have been repelled by the price, Knotwood shutters will not break your bank. Go ahead and indulge yourself. They will take your home to the next level in style. They have been designed to reflect harmful UV rays and heat while allowing light through. Knotwood adjustable shutters can be fixed, hinged, sliding or bifold to suit any application. Knotwood louvre blades are available in 90mm, 150mm, 200mm and 300mm.